Click Here to register to be a part of this Summer Event. 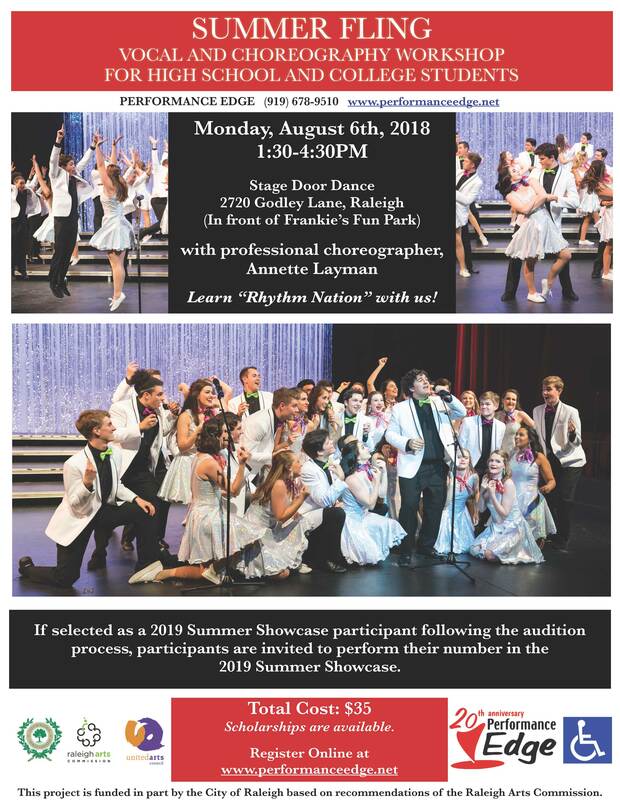 If selected as a 2019 Summer Showcase participant following the audition process, participants are invited to perform their number in the 2019 Summer Showcase. If you were selected to participate in this years Summer Showcase, Click Here to complete your payment. © 2019 Performance Edge. All Rights Reserved.